You know knishes? The Eastern European street food that's practically synonymous with New York Jewish culture? Well, New York's City Reliquary museum brings us an entire exhibition dedicated to these potato pies. You might remember the Knish Crisis of 2013, when New York lost almost all of its knishes, but knish-tory goes way further back than that. The exhibition, Heroes of the Knish: Making a Living and Making a Life, takes us from New York's early knish vendors up to the present. Of course, you don't need to be from New York or Jewish to enjoy some potato-y deliciousness. As Laura Silver, the exhibition's curator, tells FWx, "Almost every state has some manifestation of the knish, even today...The hotbed of knish making and eating is in New York, but it radiates outward." Among the strangest knishes that Silver has encountered across the States are the quirky creations of Northern California's King Knish. "There's a guy in California who makes a wasabi knish dipped in dark chocolate. I find that a bit extreme, but it's not a violation of kosher laws, so that's okay. But bacon knish? Nah." Silver first began delving into the history of the knish over a decade ago, when she found out that Brighton Beach staple Mrs. Stahl's Knishes had gone out of business. In the course of her research, she learned that her grandmother was, in fact, from Knyszyn, Poland, which is said to be the birthplace of the knish. "So," Silver jokes, "that makes me a direct descendant of the knish." Don't sweat it if you can't make it out to New York's City Reliquary. 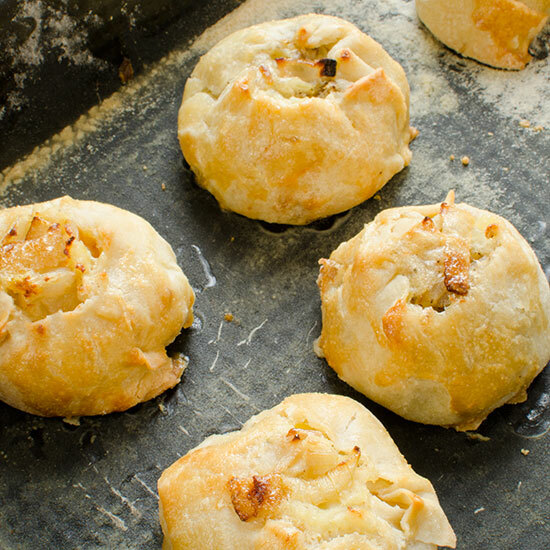 Even if there's no knish vendor near you, you can always make your own. Silver's go-to recipe, included in her book Knish: In Search of the Jewish Soul Food, is Mrs. Stahl's own family recipe.